Hi! It's Tracy and this week I'd like to share with you some instructions for making a tea bag holder card. You can find all different types and shapes of cards out there to give little gifts of yummy tea bags in. 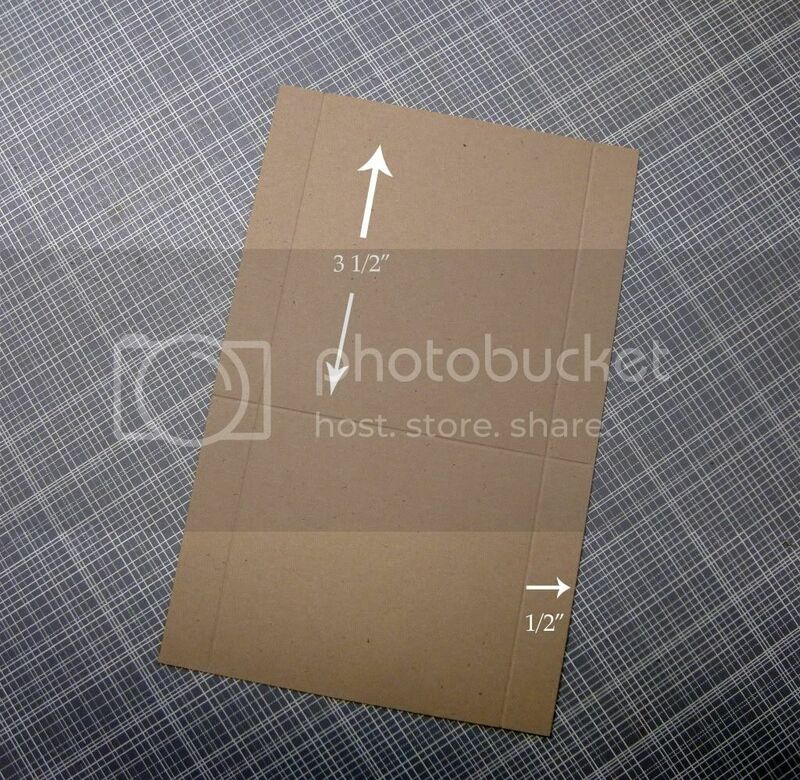 For this particular shape I saw a couple of examples, but no measurements except the card base, so I decided to share all the measurements I used with you. Of course these can be adjusted in any way you need. Below are the photo instructions for this tutorial and if you prefer to watch by video, here is a link to the Video tutorial as well. 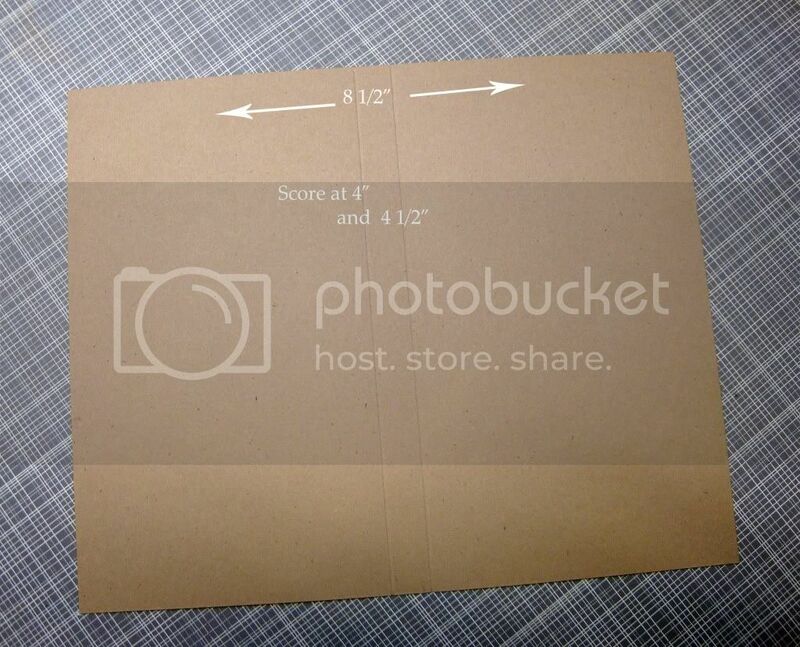 For my project I started with a base card cut from Brown Kraft Cover Weight cardstock at 7" x 8 1/2". That piece is scored at 4" and 4 1/2" on the long side. I also cut (4) mats from Buff Ivory Cover Weight cardstock at 3 7/8" x 6 7/8" and (3) at 2 7/8" x 2 5/8". My designer paper mats were cut (4) at 3 5/8" x 6 5/8" and (3) at 2 3/4" x 2 1/2". Just getting all these pieces cut covers probably more than half of the construction of this project. Here's the card base with the score lines marked. This is one of the pockets for the tea bags. 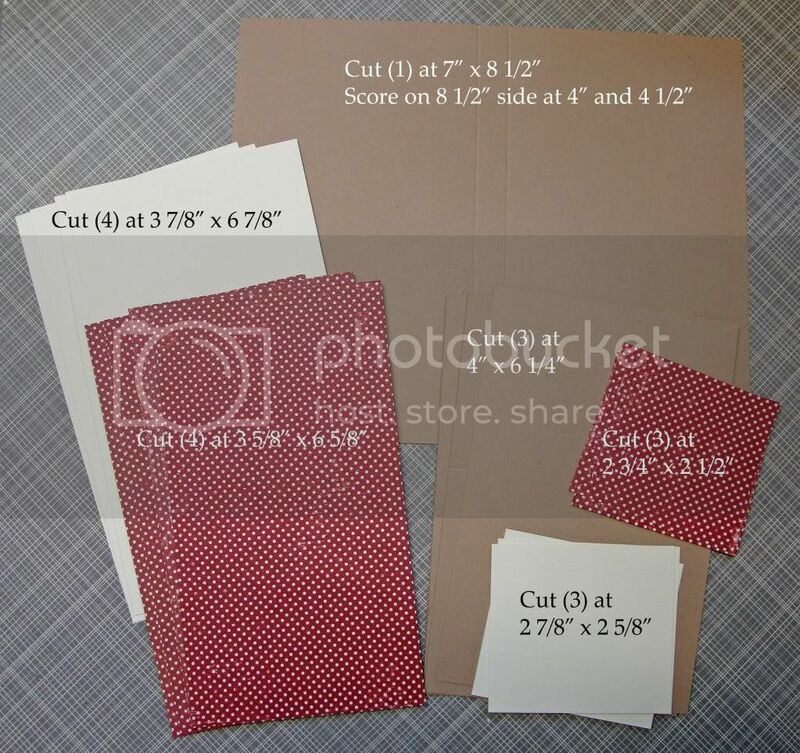 They are cut at 4" x 6 1/4" and get scored at 31/2" and then along each side at the 1/2" mark. Once you've burnished your score lines you can use a corner rounder to round off the ends of the flaps on the 3 1/2" section of the pocket. Also use your scissors to cut a small vee out of the flaps up to the center score line. This will cut down on bulk when folding up the pocket. 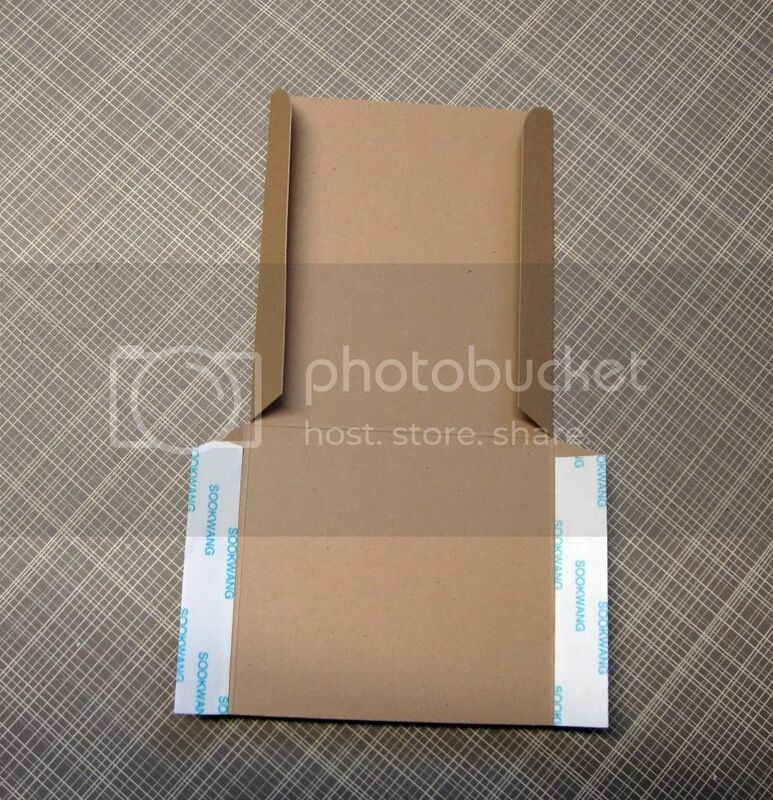 Place some strong adhesive along the two bottom flaps. 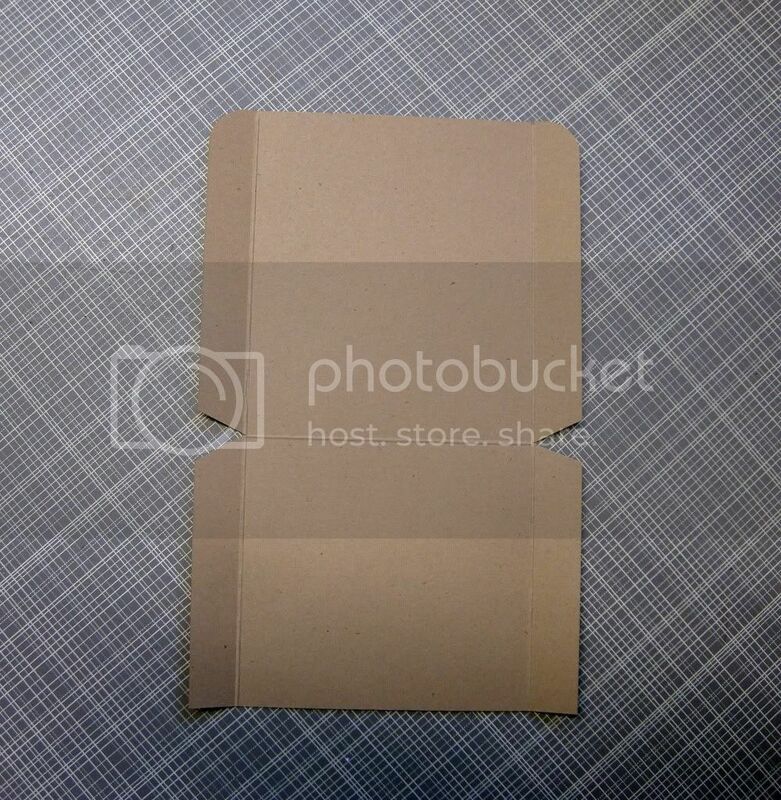 When the bottom is folded up over the top, the flaps with adhesive will fold around to the back of the pocket. If you will hold the center of your pocket down really well when folding those adhesed flaps over it will help keep your pocket from bulging out too badly. When you burnish, you'll notice that your pocket might not fold exactly on the score line because of the bulk of the paper. These are the basic parts of the card. Once you have all this done you're ready to decorate. Here's the front of my card. I've used a digital Santa image from Isabella's Sketchbook and colored it with Prismacolor pencils on some Lunch Bag Kraft cardstock. I've also used some Natural Twill Tying Tape and a Round Metal Edge Grungy Prim tag for the sentiment. Hope you liked the tutorial. Have a wonderful week and don't forget there is still lots of time to join in this week's Welcome Fall challenge. 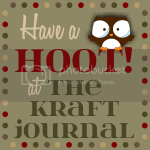 Check the current challenge link in the top righthand sidebar of our blog for all the details and to link up your project. Oh. My. Goodness. This is fabulous! Thank you so much for sharing. 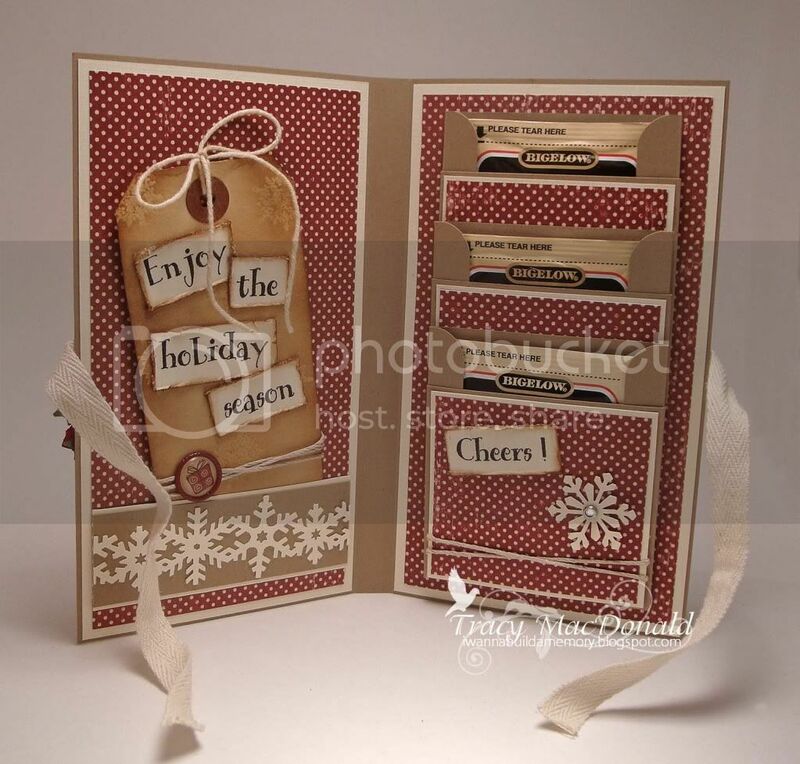 Love the template, love the DP choice, and love love LOVE the Kraft!!! Love, love, love it! Want to make one now myself!! Gorgeous work! oh, this is adorable! thanks so much for the tutorial! 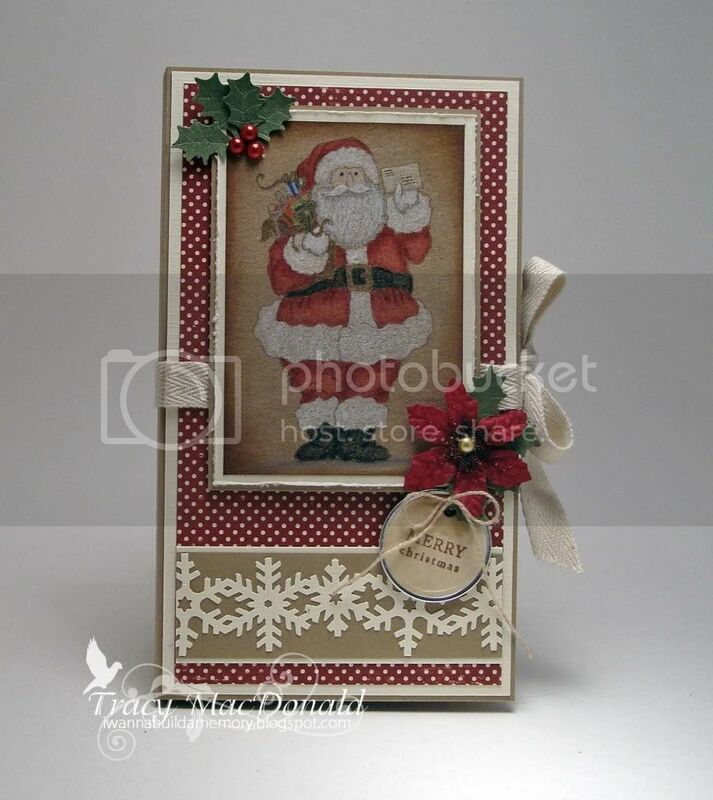 This card is absolutely gorgeous Tracy and such a fabulous tutorial! Well done! What a beautiful card/idea. Well done and thank you for sharing it with us.